WBC heavyweight champion Deontay Wilder 40-0 (39) has given his prediction for this weekend’s big heavyweight unification clash between WBA, IBF and IBO champion Anthony Joshua 20-0 (20) and WBO titleholder Joseph Parker 24-0 (18) at Principality Stadium in Cardiff, Wales.“To me, it’s going to be a close fight, you know,” said the 32-year-old American. “It seems like Parker is in the right mindset for this fight. He’s very focused, he’s prepared, he’s ready to go and I know he’s ready to go because my brother Malik Scott is in camp with him and he’s been letting him know a lot of things. With an expected crowd of 80,000 people, how Parker handles a Bledisloe-sized crowd will be crucial to how the big Kiwi performs on the night. Wilder doesn’t expect it to be an issue for the supremely calm and confident Parker. “He’s not nervous and that so I think that’s gonna play a great part in the ring with him. 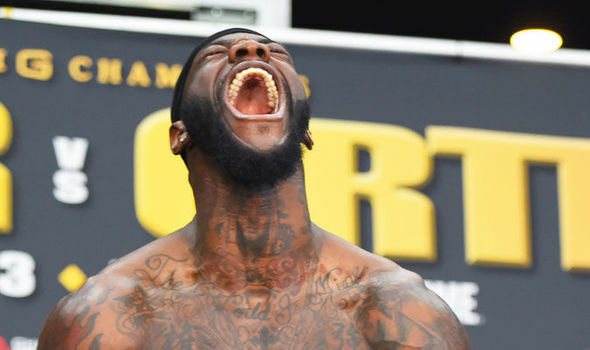 It’s still a 50/50 fight, [you] just never know what’s gonna happen,” said Wilder, who is coming off a tenth round TKO of Cuban contender Luis Ortiz earlier this month. The fight will be Parker’s fourth world championship bout, while Britain’s Joshua is slightly more experienced with this fight being his sixth at the world championship level. “You can say a lot of negatives and positives with both guys but at the end of the day we’re going to see what happens on the night of the fight.